Proven to rapidly accelerate plastics decomposition in landfills, marine environments in an unprecedented manner. CHEM-I-PLAST, the Johannesburg-based materials and additive supplier, in conjunction with Afritrade, the machinery supplier, are the sole distributors of BioSphere, a biodegradable additive that accelerates the natural biodegradation of plastics at a rate which is faster than any other product available in the market. BioSphere, which can be added to a vast array of raw materials for plastic products, enhances the biodegrading of the product. Unlike other offerings in the segment, BioSphere is not dependent on heat, sunlight, humidity, wet or arid conditions for degradation to occur. In addition, plastic with the BioSphere additive degrades in both anaerobic or aerobic environments. BioSphere, manufactured by BioSphere Plastic LLC of Portland, Oregon, USA, was first released in 2012. When first introduced, BioSphere was supplied as an active ingredient in a masterbatch; it is now also available in liquid, powder and masterbatch formulations, as well as with a compostable additive. Chem-i-Plast currently have two post production samples under test. The samples were run by two local manufacturers at the prescribed dosage and these have been sent for testing in the USA. “Tests conducted by an independent and reputable third-party laboratory have proven that most plastic products with the BioSphere additive, at a 1% loading rate, will decompose up to 60% within the first 12 months and will have completely disintegrated between years two and five,” says Rony Jose, MD of Chem-i-Plast. The process is enabled where BioSphere uniquely creates an environment which allows microbes present in marine or landfill environments to enter and digest plastic from deep within, resulting in microbes working at a much faster rate to decompose the plastic product. So, if a product containing BioSphere is collected for recycling, from landfill, curbside, school recycling or separation-at-source, can it be recycled without contaminating the recycling stream? “This is a huge scientific achievement, now making it possible to biodegrade plastics up to 20 times faster than plastic products without the BioSphere additive,” says Jose. “BioSphere is already widely used in America and now rapidly gaining momentum globally in the production of plastic products which include, amongst others, polystyrene packaging, shopping bags, bottles and containers. Finding new ways to protect our environment is key. 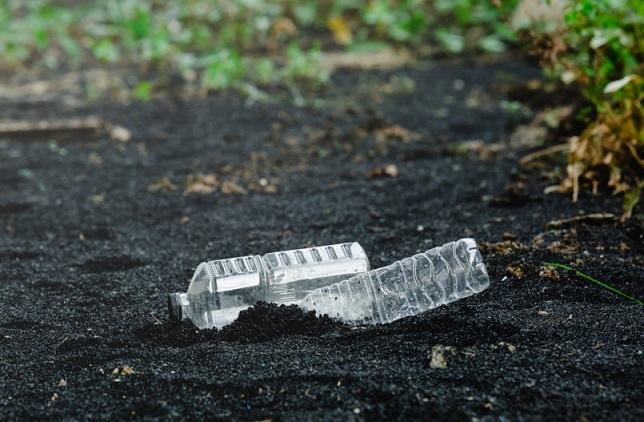 We believe that BioSphere offers the opportunity for the plastics industry to manufacture plastics that are an environmentally-friendly alternative to current approaches of plastic manufacturing,” adds Jose. Convertors in SA will remember a fracas a couple of years back surrounding the introduction of ‘oxo-degradable’ additives to South Africa. Smith explains that those additives “are a completely different animal” to BioSphere. “Oxo-degradable additives work with sunlight and oxygen to break the plastic down into fragments. It had limited shelf life and contaminated the recycling stream. These types of products are a main stumbling block to other recycling-friendly biodegradable additives like BioSphere. Oxo products also started to call themselves ‘oxo-biodegradable’ which is a misleading claim,” he explains. “We remain dedicated to the plastics industry and the preservation of our environment for future generations. BioSphere is the future,” adds Smith. Chem-i-Plast specialises in the supply of masterbatches, additives, compounds and speciality chemicals to the petrochemical, automotive and plastics industries in South and Southern Africa. It has offices in Joburg, Durban, Cape Town, Harare and Lusaka. Afritrade is a Cape Town-based company which has been involved in the plastics industry for over 30 years. It specialises in the sales of recycling equipment, gravimetrics, new and pre-owned film and pipe extruders, injection moulding machinery and printers. 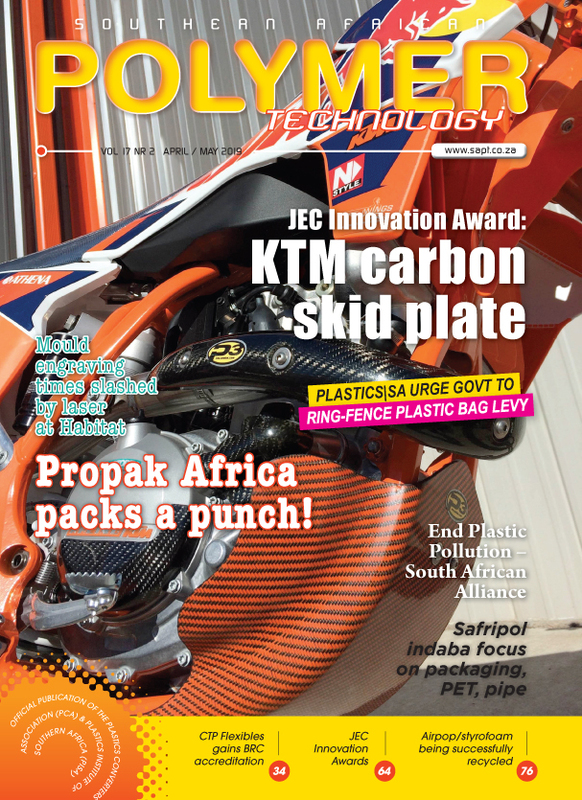 SA Polymer Technology readers and advertisers include the full spectrum of the Southern African polymers, composites and rubber industries.